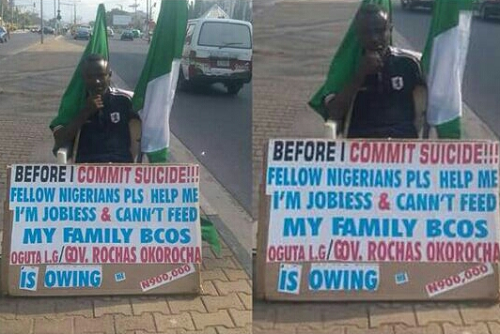 A man has taken to a major road in Imo State with a placard threatening he would kill himself if Imo State Governor, Rochas Okorocha refuse to pay him. He says he is jobless and the Government is owing him N900k. Such a serious matter!